Graphic by Andy Everson, Kwakwaka’wakw. VANCOUVER — The fate of the Northern Gateway pipeline project is now in the hands of a trio of Federal Appeal Court judges who reserved their decision on whether to uphold or quash the government’s approval of the controversial project. Over six days of legal arguments in Vancouver, the court heard the government didn’t get aboriginal consent or consider the impact on the environment when it approved the project, while proponents claimed a decision to overturn the pipeline approval would kill the project. 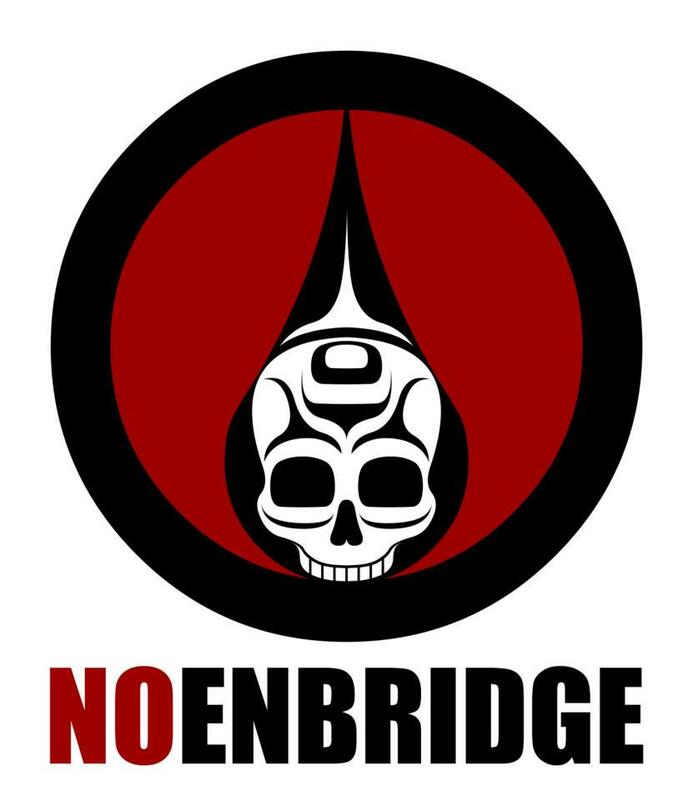 The government approved the $7-billion Enbridge (TSX:ENB) Northern Gateway project in June 2014 with 209 conditions, following the recommendations made by a review panel considering the environmental impacts of the interprovincial pipeline. A collection of First Nations, environmental groups and a labour union launched the appeal, asserting that the panel tasked with reviewing the pipeline proposal didn’t adequately consult with aboriginal groups nor sufficiently consider the environmental impact. “At its heart, the duty to fair consultation is a conversation to reach mutual understanding and the Crown simply failed to do that,” said lawyer Robert Janes, speaking on behalf of the First Nations. Janes also dismissed the suggestion that First Nations’ concerns could be addressed further along in the regulatory review process. “The submissions made by Canada and Northern Gateway that, like Orphan Annie looking forward to tomorrow, the real consultation is yet to come simply cannot be sustained,” he said. The project’s proponents have argued throughout the appeal that the review process was thorough, fair and reasonable. Lewis Manning, lawyer for the Canadian Association of Petroleum Producers, which is an intervener in the proceedings, told the court the Joint Review Panel made “every conceivable effort” to accommodate participation and did its best to mitigate concerns. Federal government lawyer Jan Brongers acknowledged there might have been flaws in the process, but he raised the question of how much imperfection should be allowed. “It would be hard to imagine a truly perfect consultation,” he said. “In our submission the process was reasonable. 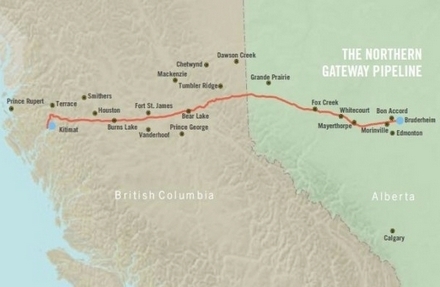 In a statement released Thursday, Northern Gateway president John Carruthers said the company still has more work to do to secure aboriginal support. Northern Gateway would see a 1,177-kilometre double pipeline installed that would carry diluted bitumen from Alberta’s oilsands to B.C.’s coastline for export overseas. The company estimates it would boost Canada’s gross domestic product by $300 billion over 30 years, as well as provide employment opportunities and sizable tax and royalty revenues. Posted on October 8, 2015, in Oil & Gas and tagged Enbridge, Enbridge Northern Gateway pipeline, Federal Appeal Court, oil and gas pipelines+Indigenous resistance. Bookmark the permalink. Leave a comment.